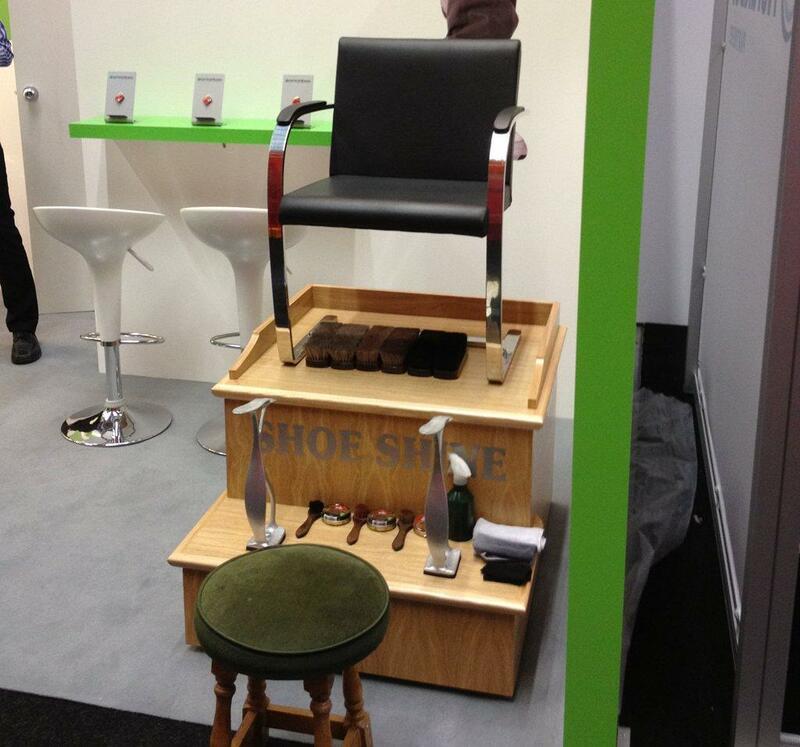 Hire these professional shoe shiners and special raised seating to create a novel feature at your next corporate event. This is great if you would like to provide a complimentary VIP service for your delegates and guests, offer a free perk to your staff as part of team building. 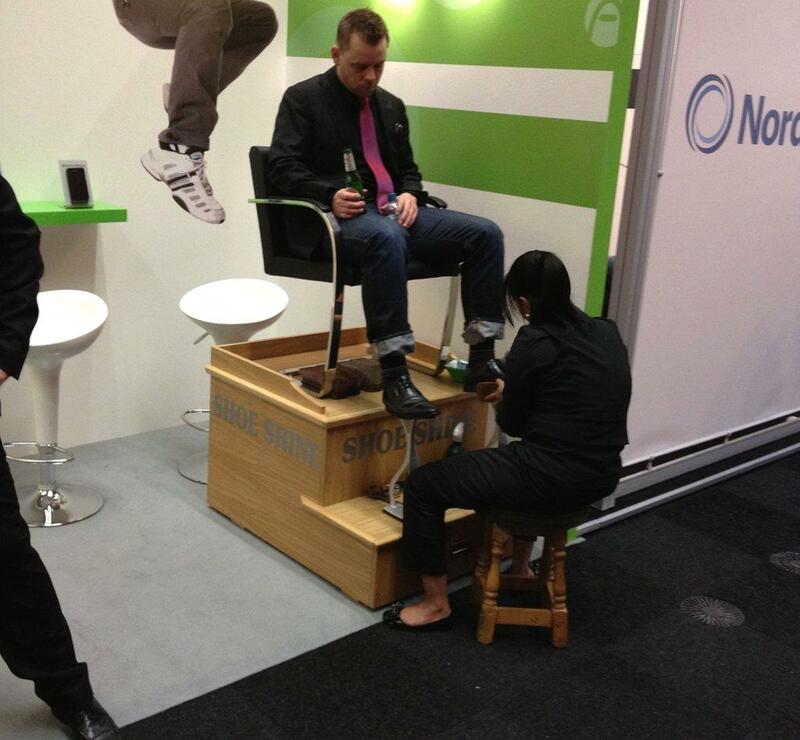 This service can achieve a footfall draw to your exhibition stand or promotion. 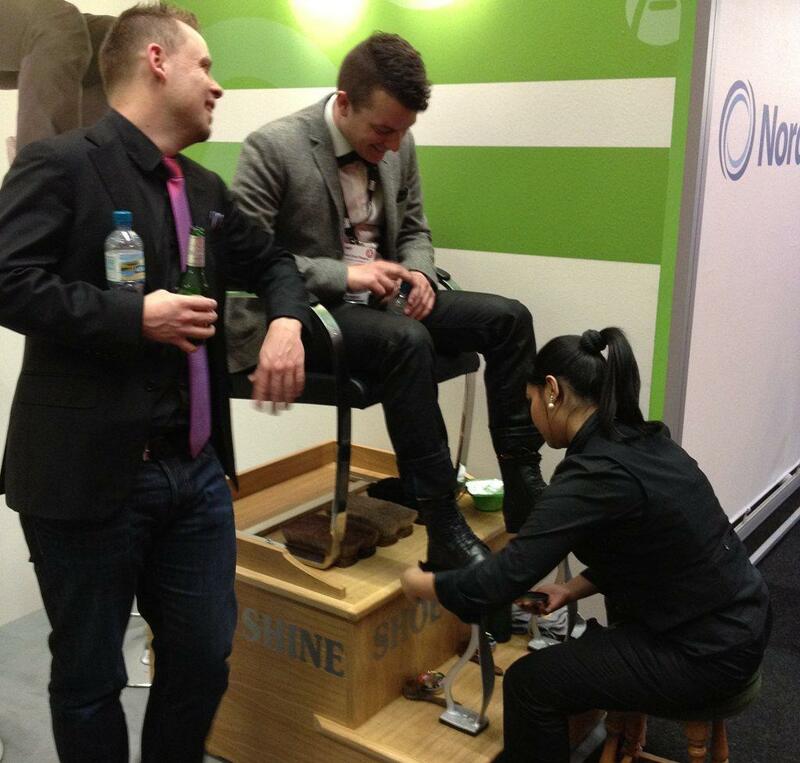 The shoe shiner ‘captures’ clients for 5 minutes at a time, enabling your sales team to introduce your products and services. Their warm and engaging staff are part of your event team on-site. 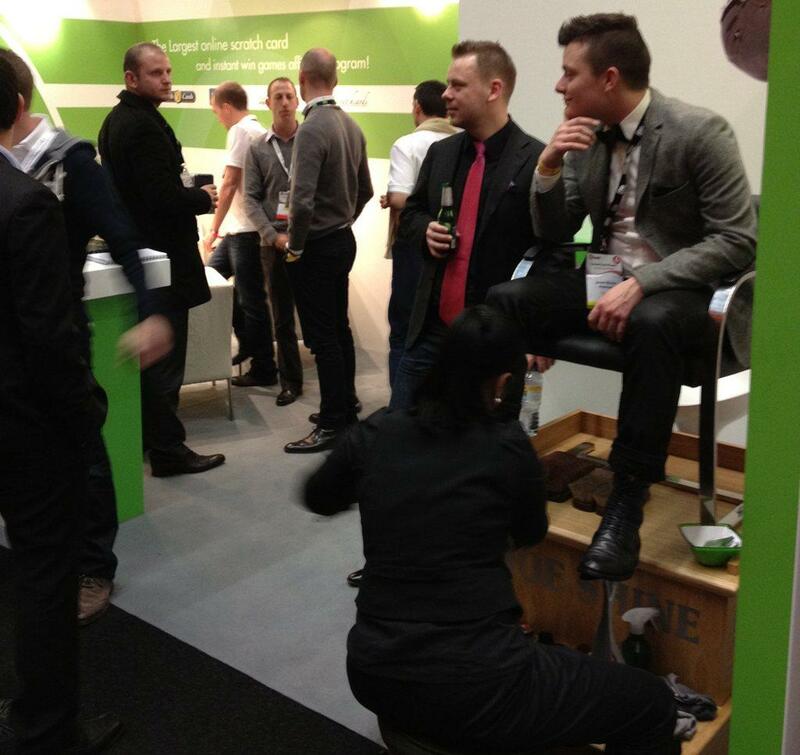 They are trained to attract in the next passing delegate, as well as to collect business cards from their seated customers where required. Staff can wear their own smart black uniform, or the client/sponsors uniform or even a costume for themed evening functions. This is flexible and can fit in with the client’s requirements.